Convert your old, worn out bathtub into a beautiful shower, complete with new shower walls and bases. 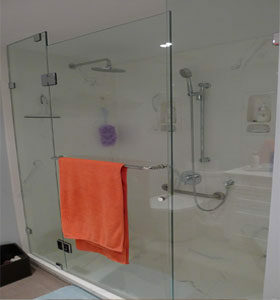 At Stay Able Baths and Homes, bathroom adaptation is our business. 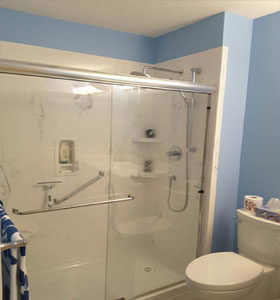 We are one of the leading experts in converting old tubs to brand new showers for safe and independent living. For some, showers are simply more convenient. 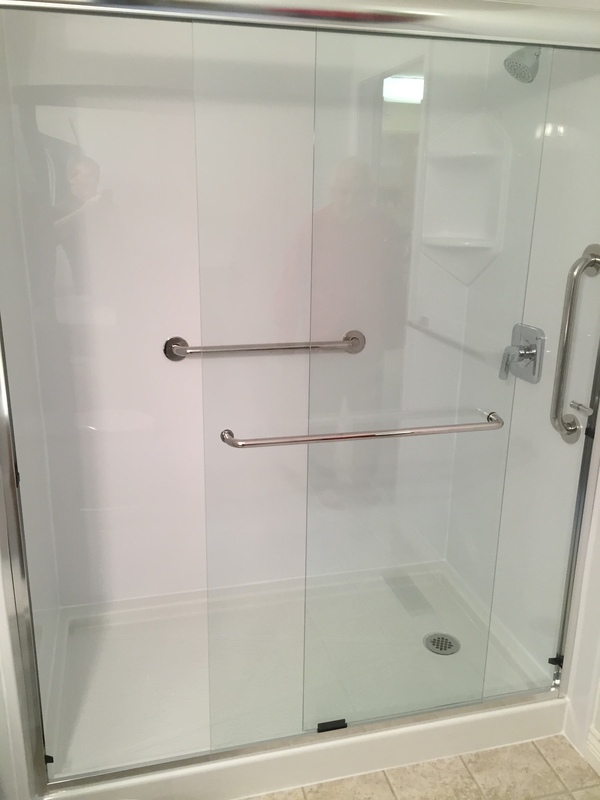 For seniors, shower conversions can greatly extend the length of time they can stay in their own home, especially with options like low threshold shower bases, slip-resistant surfaces, seats and grab bars. 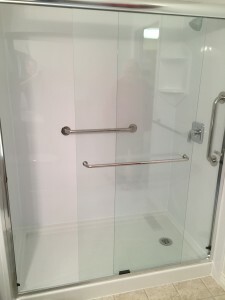 At Stay Able, our focus is on solutions through adaptation and offer various product options on shower bases and wall surrounds from proprietary materials, which offers some of the industry’s highest ratings on performance and durability. With a wide selections of wall products and colors, shower bases and accessories, design your bathroom to be a statement of your own personal style and taste.